People in this part of the country are probably a little more unabashedly patriotic than people in other locales, but I don’t know of any town where the sight of grizzled old veterans of past wars doesn’t bring a lump to the throat. 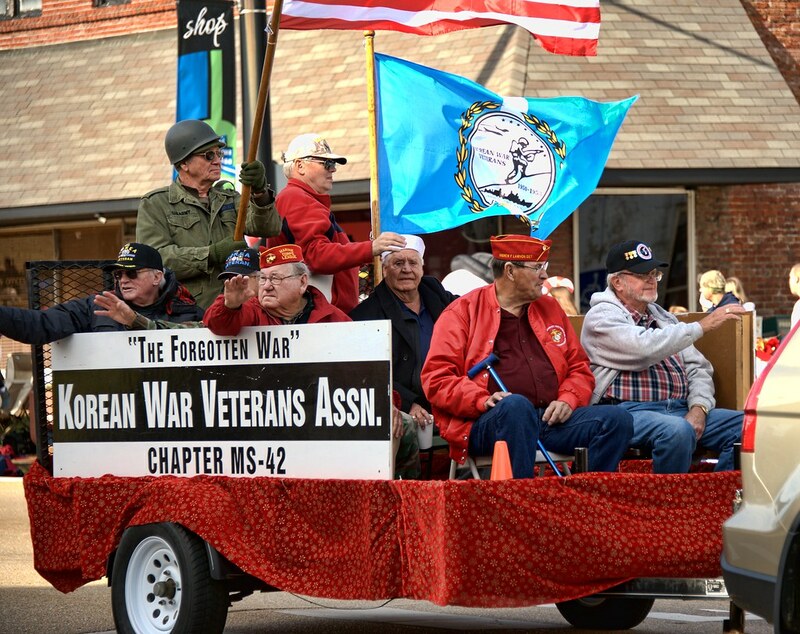 There were several veterans and military groups marching or riding in this year’s parade, but this was my favorite–the Veterans of the Korean War, known as “The Forgotten War”. There’s just something about the evident camaraderie and shared life experience that appears in the lined faces of these guys that appeals to the heart of any American, young or old. I love them all, but my favorite is the guy in the back in the green fatigues and helmet, holding the American flag. Don’t you think he looks just like Leslie Neilsen? This entry was posted in Commentary and tagged 28-300mm, Christmas, D700, Korea, Mississippi, Nikon, Paint Shop Pro, parade, photography, Topaz, Tupelo, veterans. Bookmark the permalink.